NEW YORK — Major League Baseball is hosting the fourth annual Sports Diversity and Inclusion Symposium at Citi Field on Tuesday and Wednesday. It’s the first time MLB is hosting the invitation only event, which also includes high-level representatives from all the major American sports leagues, collegiate bodies, the Olympics, and individual competitive sports organizations. MLB Commissioner Rob Manfred will speak on Wednesday morning and take a major role in a panel discussion about diversity in sports involving other league representatives, highlighting the unique two-day session. Tuesday’s session will also include a business panel and an LGBT presentation entitled, “Creating an Atmosphere of Inclusion.” The latter panel includes Billy Bean, MLB’s ambassador of inclusion, Rick Welts, the president of the NBA champion Golden State Warriors, Jason Collins, a retired NBA player, and Ariadne Bonano, an MLB research analyst. That group has two players (Bean and Collins) and a sports executive (Welts) who were the first to publicly announce they are gay. Manfred’s panel on Wednesday morning will discuss how sports leagues can take “A Leadership in Business Perspectives.” Lewis is also slated to sit on that panel. The group, which is expected to include 175 attendees from within the business, will adjourn and attend Wednesday night’s game at Yankee Stadium between the Yanks and Red Sox. MLB has long been at the forefront of integration and diversification, beginning with Jackie Robinson shattering the Major League color barrier when he took the field at first base for the Brooklyn Dodgers on April 15, 1947. Then there was the landmark decision on July 15, 2014, in the final year of Bud Selig’s commissionership, to appoint Bean as the first ambassador for inclusion of any sport. In his role, Bean has been a major spokesman for the lesbian, gay, bisexual and transgender community working within the community plus Major League and Minor League clubs to encourage workplace compliance to equal opportunity laws and general acceptance. “I really do feel that with the leadership of the Commissioner, MLB has been in the forefront of strategically implementing diversity and inclusion,” Lewis said. “Our hope is that not only do we continue to do this very well, but really help, in a formal way, the other sports leagues to improve. The first three Diversity and Inclusion Symposiums were hosted by the NFL in 2012, the PGA in ’13 and the U.S. Olympic Committee in ’14. 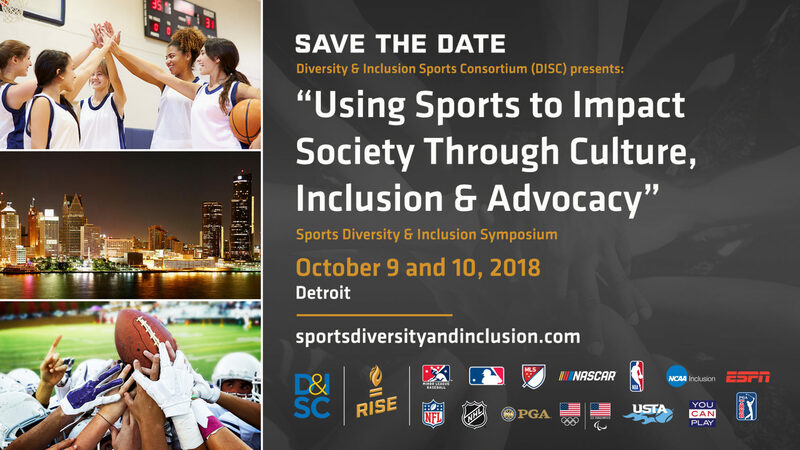 There are 13 different sports leagues and organizations taking part in the annual Symposiums, including MLB, Minor League Baseball, the NFL, NBA, WNBA, NHL, MLS, NCAA and NASCAR.